Pictures and interviews from two Occupied Stories members in Sao Paulo. Pictures & video editing: Nicole Rose Pace. Audio: Alexandre Calvalho. 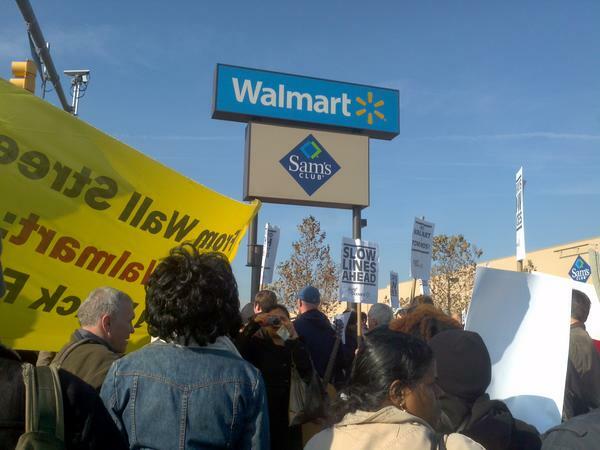 A compilation of videos from actions around the country supporting striking Walmart workers on Black Friday (AKA Buy Nothing Day) 2012. Check back often for more videos! These videos, by Kisha Bari, were featured at How Sandy Hit Rockaway.In each, a resident describes the difficulties they and their community has faced at receiving aid from governmental organizations after Hurricane Sandy struck. More than one week has passed, and still this woman has not heard from any kind of agency or aid organisation on how to find help in Far Rockaway. Mr Turner describes how difficult it is for him to get aid in Rockaway. Editors note: This is part of a collection of first-person accounts from #noNATO. Don’t let the corporate media speak for you, if you were in Chicago tell us what you saw. Submit your story. This video originally appeared on Diatribe Media. Activist and writer Natalie Solidarity spent much of her time on the front lines of the protests against the NATO summit in Chicago all weekend. On Saturday [May19], at an anti-capitalist march, police attacked protesters with clubs after stopping the march on State Street and Washington. Later in the evening, a police van drove through the crowd, striking at least one demonstrator and sending him to the hospital. Natalie recaps the events in this video.